The goal of many websites is to create “evergreen” content — that is, content that stands the test of time and will prove to be relevant not only to today’s reader but to someone coming across the same content in several years. The logic behind this strategy is simple, at least for sites that hope to monetize their content in some way. If one writes articles that are irrelevant shortly after publication, the writer will always be on a treadmill of having to create brand new articles to generate any revenue. On the other hand, “evergreen” articles generate clicks years into the future and revenue from such a website is likely to grow over time as new content is added. In the early years of this nearly ten year old website, a majority of articles were related to current “news” and became stale shortly after publication. In later years, articles such as this one on how to read a 10-K proved to be “evergreen”. Since there are hardly any ads on this site, the topic of evergreen content is somewhat academic, but even aside from revenue generation, most writers gain satisfaction by creating content that stands the test of time. 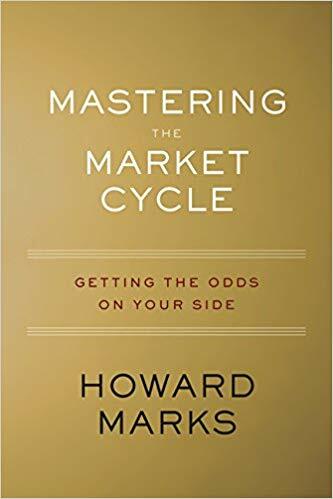 Normally, I would steer clear of any book that seems to imply that investors should pay attention to market cycles, not to mention Mastering the Market Cycle which is the title of the latest book written by legendary investor Howard Marks. Perhaps my aversion to reading about cycles is due to years of listening to Warren Buffett state that he pays no heed to macroeconomic factors. Investors who have long followed Mr. Buffett and Charlie Munger seem to take it as an article of faith that they should diligently study companies, read primary sources such as annual reports, and stay true to traditional valuation metrics that have stood the test of time. We are not supposed to pay attention to market cycles and certainly not supposed to attempt to benefit from them. 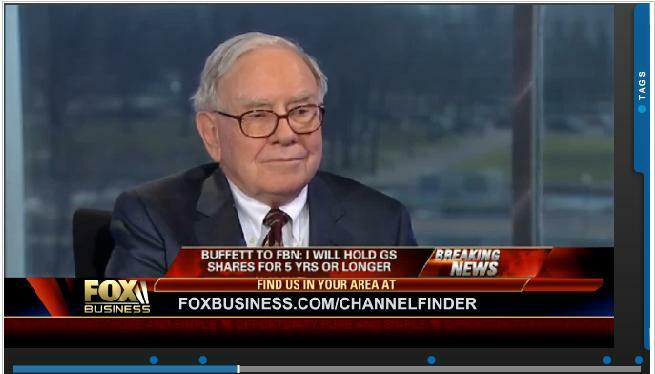 However, longtime students of Mr. Buffett cannot help but notice that as Chairman of Berkshire Hathaway, he has access to a wealth of information about the economy that could rival the data at the disposal of the Federal Reserve. Berkshire’s collection of subsidiaries collectively provide Mr. Buffett with something close to the pulse of the economy. Mr. Marks is very well known in the value investing community and his previous book, The Most Important Thing, has been incorporated in many lists of “must read” resources. Both of his books draw heavily from the author’s collection of memos to Oaktree Clients. These memos are certainly “evergreen” in terms of covering important topics using current and historical examples. One of the principles Mr. Marks discusses very often is the idea of “second level thinking”. A simplistic “first level” thinker draws only the most immediate and obvious conclusion from a new piece of data. For such individuals, any discussion of market cycles is likely to be dominated by gut reactions to a piece of data. For example, if the ten year treasury note yield rises rapidly over a short period of time, a first level thinker is likely to simplistically update his models to reflect a higher risk free rate which, in turn, would depress the valuation of stocks in his portfolio. A second level thinker might attempt to understand the impact of rising rates on real economic activity relevant to the companies in his portfolio and think about whether the myriad economic fundamentals impacting the cash flows of his companies will be impacted by higher interest rates. To be sure, the risk free rate has gone up and all things being equal, stock valuations should decline. But all things aren’t always equal for all companies and anyone hoping to beat the market needs to look deeper through second level thinking. The question “and then what?” must always be asked. Mr. Marks provides a comprehensive outline of the nature of cycles, the impact on the economy, and the regularity of these cycles. The question is not one of “prediction” in terms of being able to forecast what will happen next week, next month, or even next year. An intelligent investor should instead focus on being an observer of the investment environment and overall climate and to simply be aware of where we are likely to be in the cycle. Mr. Marks points out that the economic cycle, in terms of changes to Gross Domestic Product (GDP), is actually relatively tame when you consider that a recession might imply a decline in GDP of a percent or two over a period of a few quarters while a boom might imply a rise of three to four percent annually. The variation in corporate profits, however, is far greater than the variation in GDP due to the presence of operating and financial leverage. 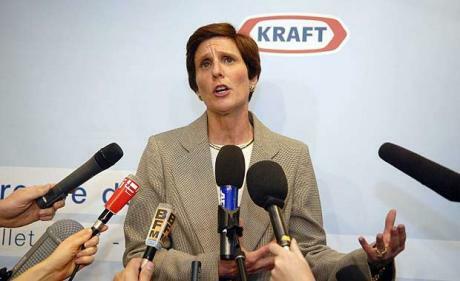 This varies greatly based on the type of business one is invested in and how it is financed. A business that sells items that have relatively constant demand in good times and bad and is funded without much, if any, debt, will have more stable profits than a business selling highly discretionary products that is funded predominantly with debt. While the variability in corporate profits will be far greater than the economic cycle, as measured by GDP, we all know that the swings of the stock market far exceed swings in earnings. What accounts for this? Mr. Marks spends a great deal of time examining the cycle of investor psychology, which he compares to the swing of a pendulum. Economics is not a science in the way that physics is science. Why? Human beings are inherently emotional beings who have psychological impulses that cause massive overreactions in many facets of life. This is certainly true in the stock market and this creates massive swings totally disconnected from economic fundamentals. Those who are reading this article shortly after it was written will probably be nodding their heads because the last several days have featured large swings in stocks that seem divorced from economic fundamentals. The broad market decline was blamed on “higher interest rates” but could have been due to a variety of psychological factors. Human beings like to create narratives to explain what is often unexplainable. The decline of the past week had much more to do with human emotion than with Excel spreadsheets, discount rates, and profit projections. The last paragraph probably won’t be very salient to anyone reading this article a few years from now. Why? Because the market action of the past week will have receded into distant memory. It is possible that the past week was the start of a major downward move in the stock market, but it is more probable that it was just one of many random moves driven by psychology. Mr. Marks does provide the reader with some guidance regarding how to tell where we are in a cycle from a psychological perspective. Based on his ideas, it does seem clear that we are in a period where investors generally are optimistic, care more about missing out on gains than increasing downside protection, and seem credulous when it comes to “story” stocks where the valuation is built entirely on fanciful future projections. Those of us who have been investing for a long time have seen such cycles come and go and today’s environment certainly dictates a cautious approach. Returning to the question of whether a “Buffett follower” should be concerned with market cycles, one must consider whether we are really looking at two sides of the same coin. Those who explicitly consider market cycles seek to be aware of where we are in the cycle and position themselves accordingly. But the rest of us might be doing the sample thing implicitly because in times of extreme enthusiasm, we are unlikely to find investments that meet our investment criteria and existing investments may reach valuations that dictate that they should be sold. Therefore, in boom times, disciplined value investors are implicitly responding to the market cycle through their actions with respect to individual holdings. The same would hold true in bear markets. One might start finding more and more investments that meet their criteria and this would naturally serve to increase exposure to stocks. Whether done explicitly at the macro level or implicitly through signals emanating from the valuation of individual securities, an awareness of where we are in the cycle is indispensable for anyone seeking to outperform a broad index. The key caveat for those who receive our signals from the availability or scarcity of individual investments is that we cannot arbitrarily change our criteria due to psychological factors as market cycles progress. Lately, it is hard to not notice that many who consider themselves value investors have started to invest in companies like Google, Facebook, and Amazon. These companies have long had valuations that made them too expensive for traditional value investors, and it is worth noting that we have all been wrong by not having invested in these “growth stories”. However, we must guard against hindsight and survivorship bias and understand that this isn’t “our game” and be content to stay in sandboxes that we understand. Many value investors seem to be changing their valuation criteria due to a desire to participate in growth stories that they missed and, in so doing, they are taking the risk that they themselves are driving the market cycle rather than observing it and seeking to profit from it. Speaking of Amazon, I was recently in Washington D.C. where Amazon has a storefront location in Georgetown. After years of “disrupting” the traditional bookstore model, Amazon has entered the bricks-and-mortar bookselling business and has done so in a spectacular fashion by providing online prices to anyone with a Prime membership. This means that one can browse in a bookstore and benefit from online pricing immediately. While browsing the selection, I came across Sapiens by Yuval Noah Harari, a book that I have intended to read for some time and I purchased it. I read this book immediately before Mastering the Market Cycle and, of course, Sapiens has nothing to do with investing. It is a book that provides a “brief history of humankind” and falls somewhere in the category of evolutionary science and sociology. Nevertheless, Sapiens reinforced one aspect of human psychology that helps us understand why market cycles occur. Until very recently, in evolutionary terms, human beings were hunter/gatherers and we are still wired for such a lifestyle even though humans have gone through massive cognitive revolutions over the past several thousand years. Evolution is measured in tens and hundreds of thousands of years and the “fight or flight” instinct is still very much among us. Although a gross simplification, humans react to economic stimuli much as our ancestors 50,000 years ago would have reacted to seeing prey or a predator 100 feet away. We must train our minds to react intelligently to the modern world in which we find ourselves and to suppress instincts that hurt us. In doing so, as investors we can seek to benefit from the folly of others rather than be members of the herd generating that folly. Howard Marks has made an important contribution to our understanding of human psychology and market cycles and all investors would benefit from absorbing these lessons.